As part of my Christmas baking plans I thought I would make some gingerbread tree decorations. I love gingerbread; it is one of my favourite biscuits. The only problem with that is I find it hard to only eat one at a time. I usually discover I have eaten three in a row without realising it! I have tried various gingerbread recipes over the years but this is by far my favourite. Put the flour, bicarbonate of soda and all spices into a bowl. I don’t sift this but you can. Put the butter and sugar in a bowl and cream together. I use a paddle attachment on the freestanding mixer. You could also use a handheld whisk. Add the flour mixture slowly on a slow speed (unless you fancy doing a ghost impression for the post man who invariably turns up at this point wanting a signature!). Ensure you scrape down the sides. Once a dough has been formed take it out of the mixture and wrap it in clingfilm. Place this in the fridge for 4-6 hours to fully rest. If you want to rest it for less time split the mixture into ¾ portions. Once it is hard it is ready for rolling. Line 2 baking trays with greaseproof paper. I use baking spray to secure this to the tray but I don’t spray the top of the paper where the biscuits will be. On a floured surface roll out the dough to about 1/2cm thick. Cut into desired shapes. I used round, holly leaves and snowflakes for this bake. Leave the biscuits to cool for a few minutes then place on a wire rack to cool completely. *I have never worked out the best way to measure this out. However, what I do is place the treacle pot on my scales (digital will be easiest to do this with). I then ‘tare’ the amount so it shows as zero. I slowly spoon out the treacle bit by bit until the amount shows ‘-125g’. I don’t know if this is right but it seemed logical to me and it seems to work. This makes a really dark gingerbread, which I personally prefer but I know lots of people prefer a lighter gingerbread. In this instance I would simply replace the treacle with golden syrup. The amounts required are roughly the same. To decorate I have used Royal Icing. You could also use Candy Melts if you preferred and they would work just as well. Prepare the egg white powder as per instructions. Usually this is mix with 50mls of water per 10g. But please double check. Mix in the powder until no lumps left and there is a think layer of bubbles. Put in the mixer with the cream of tartar and start whisking. If using egg white place these in the mixer and whisk until frothy with the cream of tartar. Slowly add in the sifted icing sugar a tablespoon at a time, ensuring it is well combined after each addition. Mix on a medium speed for 15-20 minutes until bright white and stiff with a smooth texture. For these decorations I used the royal icing in stiff and flood consistency. I don’t line the shapes before flooding. I simply use a scribing tool to bring the icing slightly closer to the edge if I need in small circular movements. This also removes any air bubbles that you do not want! To combine the water I use a spray to ensure I don’t add too much at once. For the stiff consistency I was looking for a toothpaste type mixture. For the flood consistency much more water is required. This is also referred to as 20 second consistency because when all the water is mixed in if you draw a line through the mixture (and into it) with a knife or skewer this line should disappear without a trace at 20 seconds. Not before or after. If you add too much water then the best and only way to effectively thicken the icing again is to add more of the stiff royal icing. Simply adding icing sugar will make it grainy. Once the biscuits are iced I leave them out over night to set or for at least four hours. I also tinted some white icing with Squires Kitchen Teddy Brown, which I then painted with edible gold lustre. To make the lustre into a paintable liquid add some alcohol to the dust. The reason you use alcohol is alcohol evaporates really quickly so it doesn’t dissolve the icing like water would. I like to use vodka because it is flavour and colourless so it doesn’t alter anything. I added some silver ball dragees to the snowflakes and so silver lustre dust to make them a little sparkly. Oh and because I totally forgot to say I made the holes for the ribbon in the snowflakes and baubles using a straw from one of the girls sippy cups when I cut out the dough! I think any large straw would work. The holes did close up a little during baking which I expected but they were still large enough for a thin ribbon to fit through. 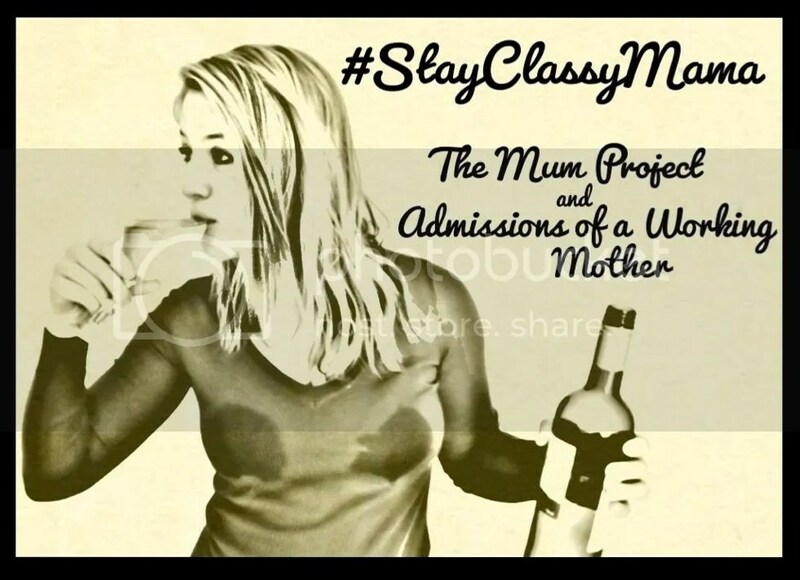 This post features on Bad Mum Magazine if you would like to check it out there and other fabulous articles highlighting the highs and lows of Motherhood. We’re all in this together and our best is all we can do. Who doesn’t love brownies? Ok, potentially a lot of people but we are not some of them! These are a firm favourite in our family and it has been a long time since I have made any. How could I resist a Christmas theme at this time of year? I am a self confessed perfectionist when it comes to baking. Most things I make are designed to look perfect, they require precision and often a steady hand. The end result isn’t always what I had in mind and I am my harshest critic. I want to teach my girls how to bake and decorate but I struggle to give up some of the control. Brownies are perfect to do this with, they are not meant to look perfect. They should be rough around the edges and homely. To ensure a smooth baking experience, prepare everything in advance. Measure out all of the ingredients into bowls and have any equipment and utensils to hand. Things can get forgotten or burnt/over mixed if you aren’t prepared. ‘By failing to prepare you are preparing to fail’ Benjamin Franklin. To line a square tin this is how I cut the greaseproof paper, then I use a fry spray to stick it to the tin. I melted the chocolate myself, as I didn’t want Pinky to get a steam burn. When melting chocolate ensure that the heatproof bowl you use fits snuggly in the saucepan without touching the bottom. If the bowl touches the bottom of the pan or the water you put in it the chocolate will burn and taste extremely bitter (not in a good chocolate way). If you get water in the chocolate it will split and go grainy. Yuk! Before adding the other ingredients I added the orange zest to the melted chocolate to ensure it mixed in well and didn’t clump. You could also use an orange essence but I haven’t found one I like yet. If anyone knows of a good essence brand let me know! Look at the serious face! I use two square brownie tins when I am making these. This is bigger than the recipe recommends so mine come out thinner than intended but I like them this way. Because it is such a rich flavour it can get a bit sickly. I have always cut them up into small pieces but now I spread the mixture more the portion size can be cut bigger. I cooked these for 40 minutes at 180oC. The recipe says they should be done after 35 minutes. I learnt a long time ago (due to mistakes) that every oven runs at a different temperature. I have made these in 30 minutes before and I have also used an oven that meant they took over an hour to bake! The best way to check is get an oven thermometer. I don’t actually have one but I now know my oven well enough to know where the heat spots are and how accurate the temperature actually is. Use your instincts basically. Baking can be all about trial and error. Once these are done and cooled completely I cut them up into triangles. I had every intention of trying to make them all the same size… That didn’t happen (give it up love it doesn’t matter). I decided to use some Candy Melts I had in the cupboard to decorate. These can be melted using the same method for chocolate or in the microwave. Once melted put in a piping bag (carful this is warm!) and pipe however you like. You could dip the brownie straight in if you wanted*. Then I added some smarties and sprinkles to finish the look (thanks to Pinterest for the inspiration). *The candy melts are quite thick once melted which is ideal for piping rough details. Add a little vegetable fat to thin the mixture out if you are dipping (I would anyway). Be careful not to add too much fat, but if you do, add more candy melts to thicken it up a little again. Little by little is the key. Candy Melts can also be reused, if you have some left at the end leave to cool, it will harden at room temperature, then place in a sealed plastic bag until you want to use them again. I gave Pinky some triangles to decorate and she had so much fun. I use a cable tie at the top of the piping bag, which stops any mix coming out of the top. I find this useful myself but it even more effective for a three year old who doesn’t really have the two hand piping coordination. I put the smarties and sprinkles into bowls for her because, as I suspected, things got a little messy and no one would want to re use they ones she didn’t need! Perky trying to steal her sisters creations! Didn’t Pinky do a lovely job? Although I am the main cook in our household, for years it was actually Hubby. He has always had a really good understanding of flavours; I think he would have made an amazing chef if he had gone into that industry. Each week Sunday is his allocated day for cooking. This week we had hotdogs and homemade wedges. To add a little lift to the hotdogs he made up a little relish. He first made this a couple of weeks ago when we made burgers for dinner but I didn’t have any that time. This time I did taste it and it was absolutely delicious, so much so I asked if he wouldn’t mind me posting it on the blog. Get all the ingredients ready. Dice, dice and dice some more. Mix all together in a bowl and add more of anything you think it needs, we find it perfect like this. That is really it. It goes well with hotdogs and burgers. I’m sure it would also work and a quick alternative to chutney if you were serving cheese and crackers. Let us know if you make this and what you think. Cadburys and Giovanna Fletcher have recently teamed up together to promote where our food comes from after Cadburys conducted some research** into where children believe their food originates. Some of their findings were rather disturbing. The research was commissioned by Cadbury Dairy Milk Buttons, and has been followed by a project with foodie mum of two Giovanna Fletcher to launch a video designed to show families about food provenance; in particular where the glass and a half of milk* used to make each packet of its iconic Cadbury Dairy Milk Buttons comes from. As parents Hubby and I have always been very conscientious in teaching our girls where their food comes from. I personally once heard a child inform their mother that milk comes from the supermarket and I was a little taken aback. I can see why this child thought that, after all that is where we get it from. How is a child going to know that isn’t where it originates from if we, as parents, don’t teach them that? This got me thinking and I quickly quizzed Pinky (aged two at the time) on the matter. She clearly hadn’t even considered this before and she didn’t know where milk came from at all. So I taught her. And now I teach Perky the same things. Chicken is chicken. Yes as in ‘cluck cluck’. Duck is duck. Yes as in ‘quack quack’. Beef is cow etc etc…. Initially I was concerned this would put them off their food (well Pinky at least) but it has had the opposite effect. She is genuinely interested where her food comes from and now asks me questions about food on a regular basis. I think I just blew her three year old brain with the answer to that one! We both loved the video! Pinky had a little giggle at some of the responses of the children when they were asked what cows eat… She thought the ‘fish and chips’ answer was the funniest one. I believe it is very important to teach children (and some adults) where our food comes from. Knowledge is power and with all the gastronomic advances we have made in recent years just imagine what the children of today will be able to do with food in the future if we start educating them on the basics when they are young. * A glass and a half of milk = 426ml of fresh liquid milk in every 227g Cadbury Dairy Milk Buttons. Cadbury Dairy Milk Buttons was launched in 1905 and became an instant success. Made with fresh milk from the British Isles, and Fairtrade cocoa beans, Cadbury Dairy Milk remains one of the UK’s top chocolate brands. **The research was conducted between 10th – 24th October 2016, on a sample of 1,500 parents and their children, living in the UK British parents and their children aged 4-8. ***Disclaimer: I was provided with some chocolate by the Cadbury Press office and marketing material to help promote this campaign. These words are in italics, also the photos and video were provided. All other words and opinions are my own and I was happy to share this as it is a subject I feel very passionate about. (The chocolate was bonus but didn’t sway my opinion, only gin can do that). I do a weekly menu plan and this week I had decided to make lamb koftas with pitta breads. As I was making it I decided it was going to be too plain and boring so I started making things up as I went along. This is what I came up with and it was delicious. Chop the bacon into small squares, approximately 1cm. Put into a large frying pan with a tsp of oil on a medium heat. Put the mince, garlic, garam masala, cumin, turmeric and cayenne pepper (if using) into a large bowl. Mix well then divide the mixture evenly and roll into balls about the size of a golf ball. Put in the large pan along side the bacon pieces. Turn the balls every couple of minutes or until golden brown on all sides. Chop up all the salad ingredients and dress with the juice of the lemon. Remove the bacon once crispy and add to the cooked rice. Crush up the cashew nuts and add them and the honey to the frying pan with the meat balls and mix until well covered. A couple of weeks ago a friend suggested gin and elderflower macarons to me. I got very excited about the idea and after a little thought and consideration I decided the best way to do this would me to put a little jelly in the middle. This is what I decided to make. Naturally it made far too much for one batch of macaron so I made some individual dessert portions. Naturally Hubby and I struggled through and ate them. Put the gelatine leaves in a bowl with some water until they are just covered. Leave these to soak for 15 minutes. Meanwhile, put the sugar in a saucepan with 200mls of water and bring to the boil whilst stirring. Once this has boiled for about 5-10 minutes it should be nice a syrupy. Put this to one side to cool for a few minutes. Stir in the gin, tonic and juice of 3 limes to the syrup. Decant into a jug to make it easier to pour and remove any froth. Pour into individual glasses and put into the fridge to set, at least over night is best. Serve with a lime wedge or zest. Next time I am going to layer the jellies, one gin and tonic and one lime. This should jazz up its appearance and hopefully mellow the strength of the gin. I used Tanqueray Gin for this jelly because although it has a high alcohol content it has a more delicate gin flavour than some of the cheaper brands. Its all down to personal taste so if you prefer another brand then use that. Look how clear it was…. !